OneBlood, the local not-for-profit blood center serving Florida and other parts of the southeast, is leading a worldwide search to find some of the rarest blood in the world. 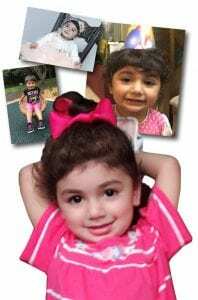 It’s needed to help save two-year-old Zainab, a South Florida girl who is battling neuroblastoma, a very aggressive form of cancer. Zainab’s blood is extremely rare because she is missing a common antigen that most people carry on their red blood cells. The antigen is called “Indian B” (Inb). For a person to be a possible match for Zainab, they must also be missing the Indian B antigen, or the little girl’s body will reject the blood. Locating people who are missing the Indian B antigen comes down to genetics. OneBlood is working closely with other blood centers and the American Rare Donor Program (ARDP), an organization that searches the world for rare blood donors. So far, three matching donors have been located, including a donor that ARDP located in the United Kingdom, near London. The other two matching donors are from the United States. While it’s promising the three donors have been located, additional donors are needed to support the child’s long-term blood needs. OneBlood is sharing Zainab’s story in the hopes more people who meet the specific donor criteria will come forward to donate for the little girl. If you meet the criteria and would like to make an appointment to donate, please call Cascade Regional Blood Services at 253-383-2553 and speak to a scheduler. If you have further questions, you can speak with Jared, our Director of Donor Services, or email him at jaredy@crbs.net. You can also speak with Richard, our Laboratory Operations Manager, or email him at richardf@crbs.net. Visit OneBlood’s website at for all the necessary information regarding donations for Zainab. Please pass this along to your network of friends of family. Let’s bring joy and hope to a family in desperate need.